Many of us girlies still have our favorite movie gems: "Beauty and the Beast," "Cinderella" and "Mulan," all stored away on VHS. While it’s refreshing to watch our favorite storytime princesses in film adaptations, such as "Red Riding Hood," starring Amanda Seyfried or "Snow White and the Huntsman," starring Kristen Stewart, no other adaptation has given these tales a bigger face-lift than the TV series "Once Upon a Time." Based on the Grimm and Andersen fairy tales, the writers of "Once Upon a Time" have concocted a magic potion, bringing back life and redemption to old characters’ stereotypes by adding a modern spin of badass female leads. The largest transformation came from the fairest of them all, Snow White. Protrayed as a naive, underaged damsel in distress in the original fable, Ginnifer Goodwin’s Snow White is edgy and does not need saving. She actually does some of the saving herself! She is brave, witty, street smart, and oh yeah ... a royal heiress. We hate to admit it, but at the beginning, we were a little bummed to see Snow as the protagonist of the fairytale world. After watching her become a true heroine, she is now our favorite version of Snow White. She knows how to sword fight -- enough said! Unlike most fairy tale adaptations, "Once Upon a Time" relies on the concept of bringing in a true outsider from reality into its magical world. Enter Emma Swan, Snow’s and James’ (A.K.A. Prince Charming) daughter. She was transported from a magic wardrobe to the real world to be saved from the Evil Queen Regina’s curse. Yes, we know, it’s all beginning to sound a little cheesy, but the show is stylized after "Lost’s" brain-twisting ingredient. 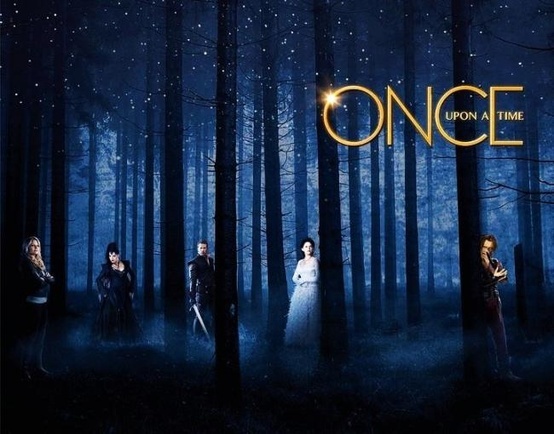 Following "Lost’s" recipe of mystery, "Once Upon a Time" often introduces new personalities and creates an interconnectedness with overlapping storylines between characters. The show often retrogrades, recounting memories of specific tales, such as the moment when 10-year old Snow met Regina, and even further back to the time when Regina was pure and in love. Considering that the show is centered around Snow and Regina’s tumultuous relationship, different characters are given a narrative per episode. Although many classic characters like Belle, Pinocchio, Sleeping Beauty and more have been featured, we are excited to see if they will add other classics such as Pocahontas, Ariel and Jasmine! College Gloss approves of "Once Upon a Time’s" fierce female characters. Girls of all ages can now idolize the beloved princesses without the outdated damsel in distress archetype. P.S. "Once Upon a Time" is on Netflix! Season 2 began on September 30, but you can still catch up! I love this show, especially how they tie in all the tales even some you wouldn't expect. Definately recommend it to everyone. Yep! LOVE the show and Emma Swan. I am glad it is not all about the prince saving the damsels. Great writing! Great writing indeed! I've been dying to check out this show and this review makes me want to watch it! !